Collecting your revenue is as simple as entering a few details. Hook up eDirectory with your gateway of choice and sit back and start collecting. No hassle. No fuss. Just easy payments. 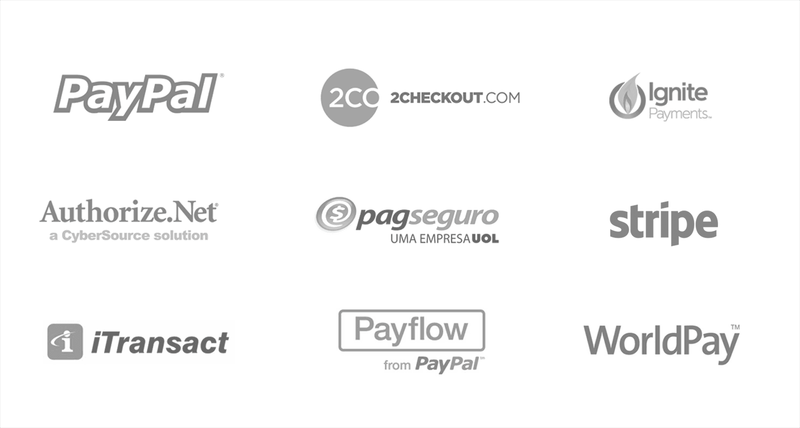 Accept Credit Card and Paypal payments from your sponsors directly through the system, including recurring payments. eDirectory supports a number of credit card gateways from various systems around the world. Setup is just a matter of putting in the gateway's API keys. eDirectory does not store credit card data in the system by design, so you don't need to worry about hackers stealing sensitive data. eDirectory supports automatic recurring payments through a number of gateways, including Authorize.net and Paypal. eDirectory supports Secure Socket Layer (SSL) allowing you to setup a certificate to encrypt connections between the browser and server during checkout. eDirectory supports Paypal, the leading internet payment system. Simply add your Paypal information to the admin section, and you're ready to go. Change your pricing plans and features any time through the site management interface. Default pricing can be overridden by category of listing type.